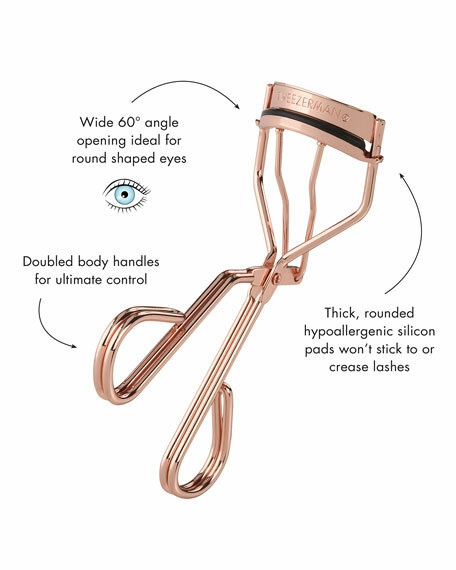 Designed with unique control, this next-generation, professional-quality eyelash curler's sleek shape and large opening are crafted to exceed the standards and performance of any other curler on the market today. Reworked angles create excellent, pinch-proof access to each lash like never beforeallowing for effortless use and maximum curl. 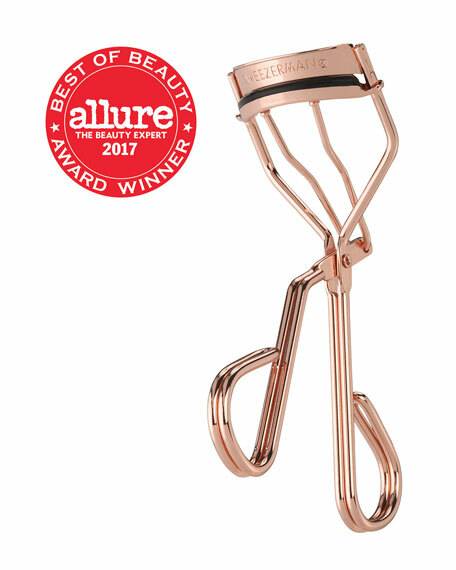 The narrowed top bar is designed to fit most eye shapes and reach every last lash. Stylish and distinctive in rose gold-toned metal with a black pad. Three replacement pads included. 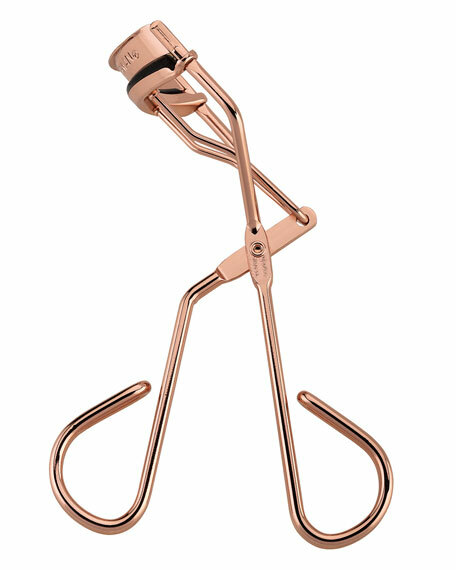 With eye opened wide and pad positioned at the base of lash-line, hold handles firmly and gently squeeze. Hold a few seconds. 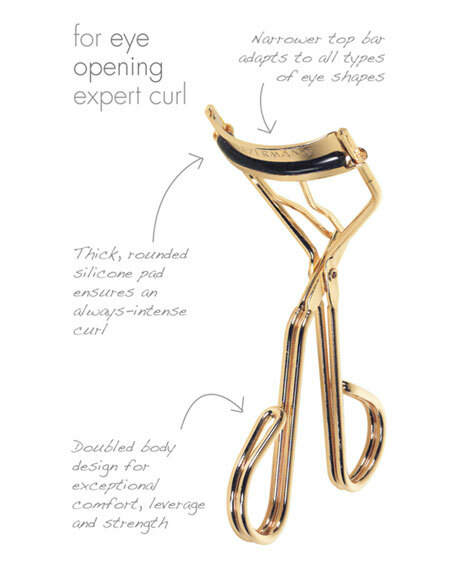 Open curler completely and gently release lashes. Repeat, moving all the way up to lash tips to create a more dramatically sweeping curve. Apply mascara.